Wonderful home in the fantastic Tuscany neighborhood! 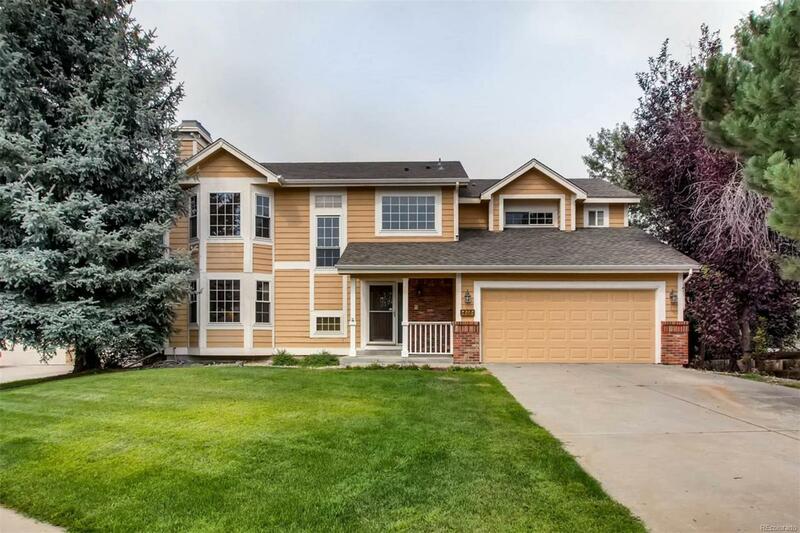 Updated throughout, well-cared for and ready for you to call it your new home. This former model home has many upgrades, and features 5 bedrooms (one could be optional office), 4 bathrooms, and a spacious floor plan. The full walk-out basement is fully-finished and includes a guest bedroom with attached bath. Enjoy a master retreat with sitting area and amazing 5-piece master bathroom with over-sized walk-in closet. Updated kitchen with slab granite is open to the family room, which has custom stonework, built-in speaker system and gas fireplace. The formal living room includes crown molding and a second gas fireplace. Custom window coverings include draperies throughout and wood blinds, are included. Newer Champion windows with sliders, new roof and gutters (July 2018), newer hot water heater, furnace and a/c. Two levels of decks overlook park-like backyard with great mountain views. Hot Tub Included!